What a great night at Beer and Brats! 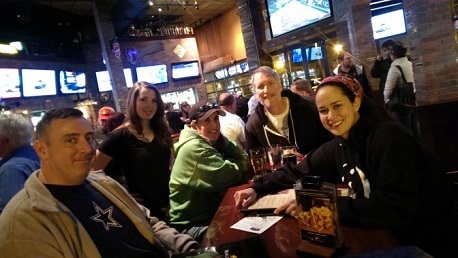 We had a really good turn out for trivia, and Legal Draft Brewing from down the road in Arlington was on hand, giving out root beer floats (they were delicious!). The visual round was a real stumper for most teams this week, and the final kitchen timer question was pretty tough too, except for WhizKids, who aced it perfectly. The highlight of the week, though, had to be when everyone sang the chorus to the Time Warp. Just awesome. Also, I can't beleive that I didn't realize that was Meatloaf in Fight Club. Thanks for playing, and I can't wait to see you all again next week.